Calling anyone who enjoys singing! This is a great opportunity to improve your singing with a day of professional tuition. We’ll be learning “Jonah-Man Jazz” and a few other gospel songs. You don’t need any experience at all; you just have to enjoy singing, and want to learn. If you have children of 7+ they are very welcome, but all under 16’s must be supervised; we can’t supervise them for you. Free refreshments will be provided throughout the day, but please bring a packed lunch with you. 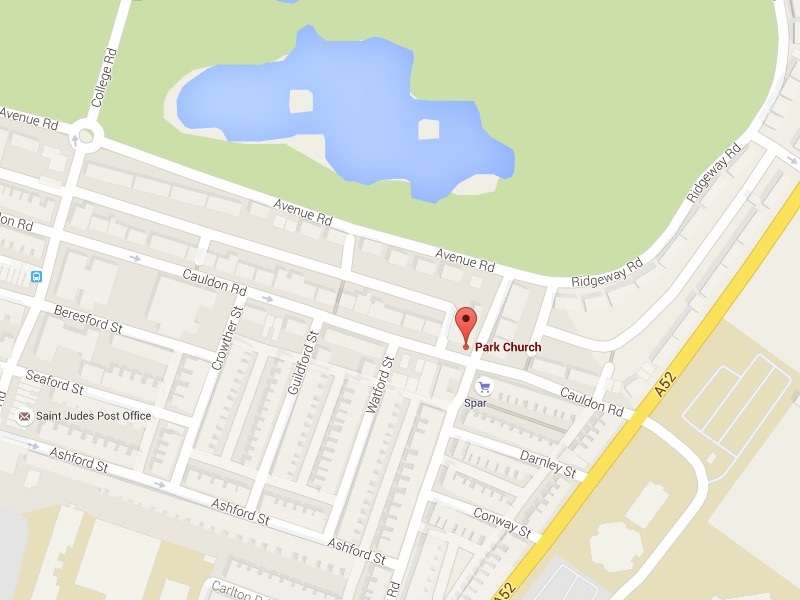 Alternatively, there are lots of sandwich shops and takeaways within 5 minutes of the church building. Here’s how to find us. Parking can be tricky in Shelton, so leave a bit of time. At 4:30pm, we’ll perform Jonah-man Jazz plus a few extras to anyone who wants to come to a free concert. 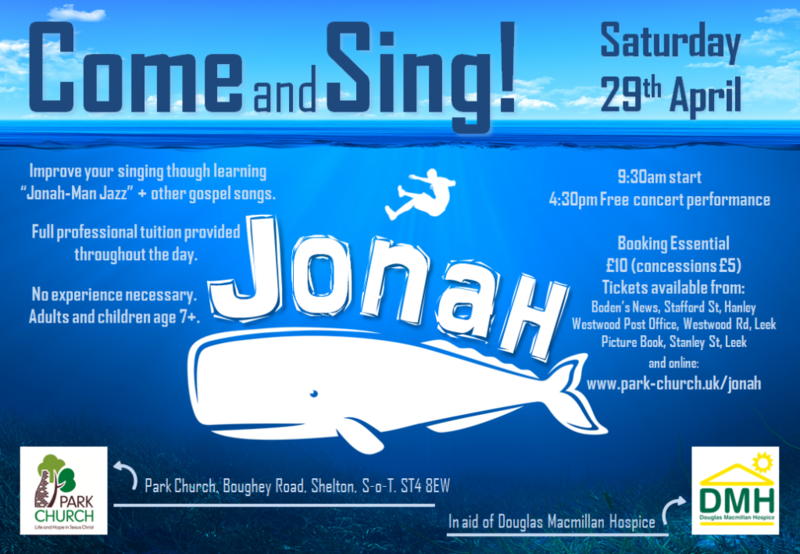 There will also be a short explanation of what the story of Jonah is all about, from Pastor Jon Mason from Park Church. We’d love to be able to raise some money for Douggie-Mac during the day. The tuition for the day is being donated, and the venue too. So a big chunk of the fee will go to DMH, and there will be opportunity to donate on the day too.